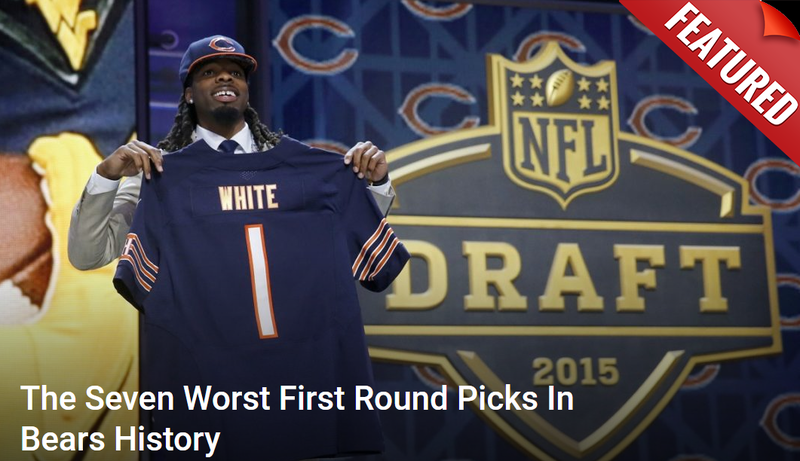 Chicago Bears draft rumors are fickle things. They tend to change from one day to the next. That’s why it’s hard to take them seriously. So why do we? Namely, because they’re interesting, there isn’t much actual NFL news going around and because there’s the slightest possibility they could end up true. It’s happened with the Bears before. Thus here we are. Among the most popular buzz is regarding whether or not the Bears will trade down. It’s reported that Ryan Pace is interested in recuperating some of the picks lost in the Mitch Trubisky trade last year. The hard part, as always, is finding a partner interested in making a deal. Among the most active teams talked about is the New England Patriots. The idea behind such a trade is obvious enough. New England has two picks in each of the first two rounds. Tom Brady is 40-years old. They traded away Jimmy Garoppolo last year. They have no succession plan and time is running out. Moving up for a quarterback makes a ton of sense. The lingering question is would the Patriots pay that price? If new reports are true, they may have a way around the problem. The story around star Patriots tight end Rob Gronkowski has been quite the roller coaster this off-season. He flirted with retirement after the Super Bowl loss. Now it’s hinted he’ll come back for another year but is tired of head coach Bill Belichick’s uncompromising style. This has led to ramped up trade rumors. Kirk Minihane, of the Kirk & Callahan Show on WEEI Sports Radio Network in Boston, believes things have gotten serious. The timing of this report is interesting. One would think the Patriots if they do plan to move Gronkowski, would want to do it before or during the draft. His value will drop if they wait until after. He turns 29-years old in May and has a history of back problems. Nonetheless, he delivered 1,084 yards and eight touchdowns last year. He’s still a monster. So how do the Bears fit into this? Remember the Patriots presumably are looking to move up for a QB. However, they’re also notoriously stingy when it comes to giving away draft picks. Thus the question. How can they make a big enough move up without selling the farm of picks they’ve stored? If they were to say package #23 overall, Gronkowski and one of their second round picks for #8, is that something the Bears would bite at? It gets Pace another pick and a Pro Bowl tight end. The Patriots get into the top 10 and still have their other first rounder. Not to mention one of their other second rounders. Both teams get a measure of what they wanted. People will argue the Bears drafted Adam Shaheen and just signed Trey Burton. Why would they make this deal for Gronkowski, who will command a $10.9 million cap hit in 2018? First, the Bears have enough cap space to handle that money for at least one year. Second? Shaheen has done nothing to show yet that he’s anywhere on Gronkowski’s level. Perhaps learning from the master can be good for him. One must not forget how must head coach Matt Nagy covets the tight end position. He worked with Travis Kelce for two years in Kansas City. They tore defenses up. He’d almost certainly be on board with a chance to work with Gronk. Just imagine Mitch Trubisky too. He’d get a chance to have a trio of him, Allen Robinson and Jordan Howard around him.